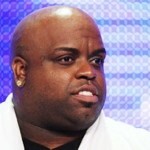 Guy East and Nigel Sinclair, Co-Chairmen of Exclusive Media, announced today that Grammy Award Winning singer-s ongwriter Cee Lo Green has joined the cast of “Can A Song Save Your Life?”. Green joins previously announced cast members Academy Award Nominees Keira Knightley (SEEKING A FRIEND AT THE END OF THE WORLD, PRIDE & PREJUDICE), Mark Ruffalo (THE AVENGERS, THE KIDS ARE ALL RIGHT), Hailee Steinfeld (upcoming ROMEO AND JULIET, TRUE GRIT), Grammy Award Winner Adam Levine, lead singer of Maroon 5, and Academy Award Nominee Catherine Keener (BEING JOHN MALKOVICH, CAPOTE) in writer /director John Carney’s (ONCE) new film, which will start production on July 2nd in New York City. Green portrays “Troublegum” a very successful hip hop star. Likely Story’s Anthony Bregman (ETERNAL SUNSHINE OF THE SPOTLESS MIND, OUR IDIOT BROTHER, THE ORANGES) will produce the film with Judd Apatow (BRIDESMAIDS, KNOCKED UP, SUPERBAD) attached as Executive Producer of the Exclusive Media production. The film’s creative team includes award winning cinematographer Yaron Orbach (FUN SIZE, THANKS FOR SHARING, OUR IDIOT BROTHER, PLEASE GIVE) and production designer Chad Keith (AT ANY PRICE, TAKE SHELTER, ON THE ICE, MARTHA MARCY MAY MARLENE and GOODBYE SOLO). Writer/director John Carney is working with Grammy-award winning songwriter, Gregg Alexander (New Radicals), on the music for the film. Exclusive Media’s Head of Production, Tobin Armbrust, will oversee production on the film. Sales are being handled by Alex Walton, Exclusive Media’s President of International Sales and Distribution. 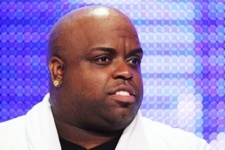 A world renowned singer-songwriter, rapper, record producer and actor, Cee Lo Green originally came to prominence as a member of the critically acclaimed Southern hip hop group Goodie Mob and later formed the hugely popular Gnarls Barkley as well as established a very successful solo career. Recently, Green wrapped the second season of the popular television series “The Voice.” Green is represented by Larry Mestel at Primary Wave Talent Management who negotiated the deal on his behalf. Seduced by dreams of making it in the big city, Gretta (Knightley) and her long-time boyfriend (Levine) move to New York to pursue their passion for music. She’s heartbroken when he dumps her for the fame and fortune of a big solo contract, leaving her all on her own. Left to sleep on the couch of an old friend, Gretta reluctantly agrees to play an open mic night before departing the city for home. Her world takes a turn for the better when a down-on-his-luck record producer (Ruffalo) stumbles upon her singing and is immediately captivated by her raw talent and inspiring authenticity – they may be each other’s last chance to turn their lives around. Recruiting street musicians, amateurs, and professionals borrowed from the posse of Troublegum (Green), a hip-hop artist he discovered years ago, Dan throws himself into producing for Gretta. Fueled by his enthusiasm, Gretta begins to develop confidence as a performer and songwriter. Dan hopes that his new direction will repair his marriage with his estranged wife Miriam (Keener) and reclaim the respect of his daughter Violet (Steinfeld). Somewhere between friendship and their love of music, the two strangers strike a chord that captures the hearts of everyone around them, proving that every great story has its own soundtrack. John Carney wrote and directed the award-winning music film, ONCE, which won an Academy Award for Best Original Song as well as an Independent Spirit Award for Best Foreign Film. The stage adaptation of the film recently won the Tony Award for Best Musical. Carney recently wrote/directed the Irish film, THE RAFTERS and is attached to direct the drama DOGS OF BABEL starring Steve Carell. Anthony Bregman is a BAFTA and Golden Globe nominated producer with an enviable list of acclaimed film credits including ETERNAL SUNSHINE OF THE SPOTLESS MIND, Indie Spirit winner SYNECDOCHE NEW YORK, FRIENDS WITH MONEY, OUR IDIOT BROTHER, LAY THE FAVORITE and DARLING COMPANION. He is the founder of the bi-coastal production company Likely Story. Exclusive Media is a major force in the production and international distribution arena. Currently in production on THE QUIET ONES, directed by John Pogue, starring Jared Harris and Sam Claflin and shooting in Oxfordshire. Its production slate include: the recently announced Cameron Diaz and Benicio Del Toro action comedy AGENT: CENTURY 21 to be directed by Adam Hashemi and the thriller STILL OF NIGHT to be directed by Jonathan Mostow and starring Michelle Monaghan and Susan Sarandon; Ron Howard’s epic RUSH starring Chris Hemsworth and Daniel Brühl and produced with production partners Cross Creek Pictures, Imagine Entertainment, Working Title, Brian Grazer, and Revolution Films to be released in the US through Universal; END OF WATCH starring Jake Gyllenhaal, Michael Peña, Anna Kendrick and America Ferrera set for release through Open Road Films on September 28; SO UNDERCOVER starring Miley Cyrus; and SNITCH starring Dwayne Johnson and Susan Sarandon in post-production and to be released in the US through Summit Entertainment. Likely Story is a bi-coastal production company founded by Anthony Bregman in October 2006. The company recently premiered Stephen Frears’ LAY THE FAVORITE at the 2012 Sundance Film Festival, to be released later this year by The Weinstein Company. Upcoming and recent theatrical releases include Julian Farino’s THE ORANGES and Lawrence Kasdan’s DARLING COMPANION. Additional Likely Story productions include Jesse Peretz’ OUR IDIOT BROTHER (The Weinstein Company), Nicole Holofcener’s PLEASE GIVE (Sony Pictures Classics), Robert Pulcini and Shari Springer Berman’s THE EXTRA MAN (Magnolia Pictures), Charlie Kaufman’s directorial debut SYNECDOCHE, NEW YORK (Sony Pictures Classics), Alex Rivera’s SLEEP DEALER (Maya Releasing), and David and Alex Pastor’s CARRIERS (Paramount Vantage). The company also has a first look deal with graphic novel and comic book publisher Top Shelf Productions. Previous Previous post: Why does the world keep falling for ‘Back to the future’ day? Next Next post: Win Doctor Who:Dark Horizons!